Illustrating a design for a beer bottle label. To write a review on a brand of paint called Turner Acryl Gouache. Illustrating trees and details for notice boards to be displayed within their parklands. For Tiso, outdoor clothing company. Feather illustrations for point of sale shop posters and label tags. Feature and step by step on using gouache for botanical painting. Illustrations for a book titled Wild Flowers and Flora of the World. Sole illustrator for a childrens book, 3D viewer Ocean Life by Cowley Robinson Publishing Ltd. Published by Ediciones SM Impresores, Madrid. Pangolin illustrations used on the Wildlife Explorer card range for IMP Publishing. 100 illustrations for a book on Wildflowers of Britain and Ireland published by Frances Lincoln Publishing. Orchid Advertisment for Wisley Garden Centre. Black and white bird illustrations. 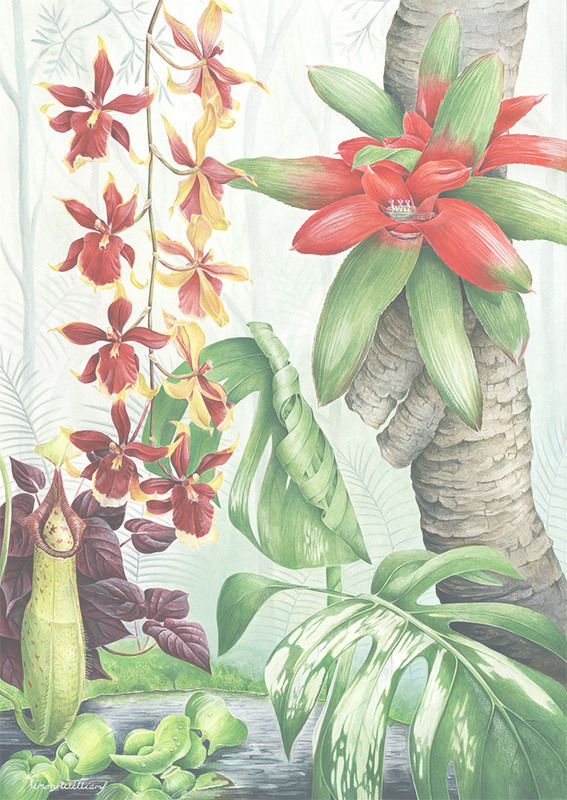 Step by step work on illustrating with gouache in The Art of Botanical Painting, published by Harper Collins.